In size, wrens are among the smaller birds. In North America, the only lighter birds are the kinglets, hummingbirds, some smaller warblers, and the gnatcatchers. The largest wrens are about the same size and weight as a small thrush, and the majority weigh less than a house sparrow. Plumage is generally brown, buff, or gray-brown, usually with prominent barring on wings and tail. 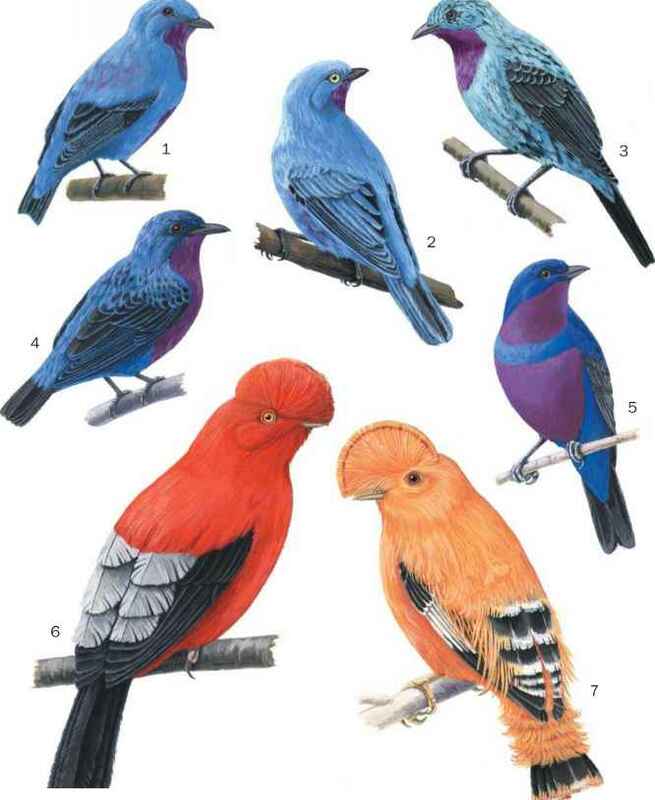 Some of the tropical species, especially of the genus Thryothorus, have bright reddish brown plumage, frequently with attractive and striking patterns of black and white on the face and underparts. A few terrestrial South American species have bare blue skin around the eye. Wrens spend most of their time foraging in thick vegetation and consequently tend to have short, rounded wings, more suited to brief flights between adjacent thickets than to sustained flight. However, several short-winged species—such as the winter, house, and sedge wrens—are long-distance migrants, undertaking migrations of 600-1,200 mi (1,000-2,000 km) in some cases. Migration occurs after dark. Many wrens have short, stumpy tails (usually with 12 feathers) that are frequently carried cocked up over the back, although the unusual Odontorchilus (tooth-billed wrens) of South America are long-tailed gnatcatcher-like birds. 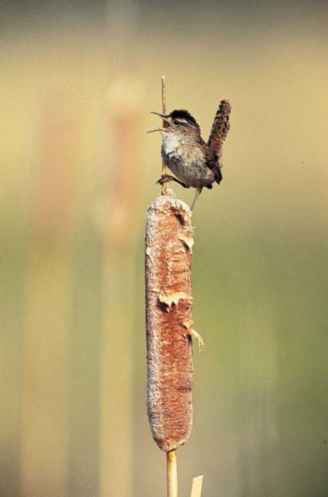 Wrens are largely insectivorous birds, and their bills reflect this diet. The bills are long and fine, never heavy or conical. Within the family there is substantial variation in feeding specialties with corresponding variation in the bill. For example, the "cactus" wrens of the genus Campylorhynchus, species that make their livings by probing into epiphytes, tend to have finer bills than arid-country species, which take coarser prey. The cliff-face and rock specialists of the genus Hylorchilus have exceptionally long and fine bills to aid in probing narrow crannies among rocks. The plumage of the sexes is always very similar in wrens. Juvenal plumage may, in some cases, be substantially different from that of adults, but in other cases, very similar.